Hello, hope you are having a lovely Wednesday :) Just popping in with a Shimmerz creation that went up on the blog last weekend. Had so much fun making this.......it just screams happy, sunshine and fun doesn't it!! 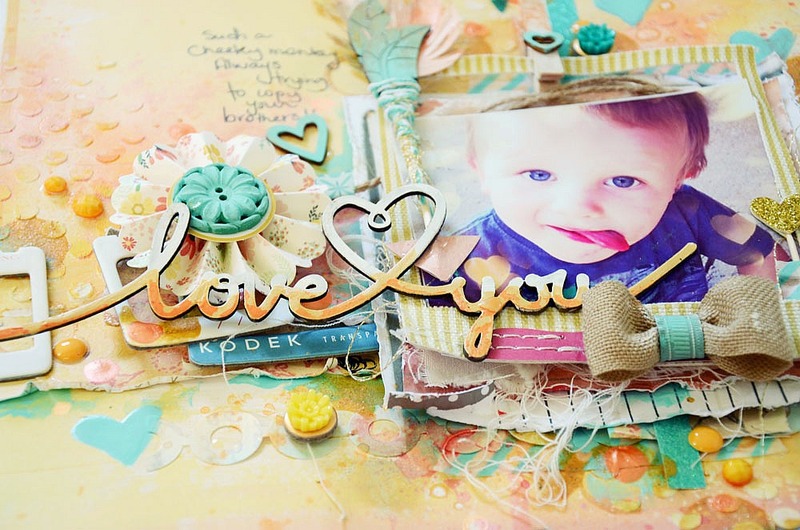 I also used some gorgeous 2 Crafty chipboard pieces, including this loopy Love You title!! I love it and I have just layered it up on top of all of the the other embellishments. I also used the Dimensionz on the title word "Love You". 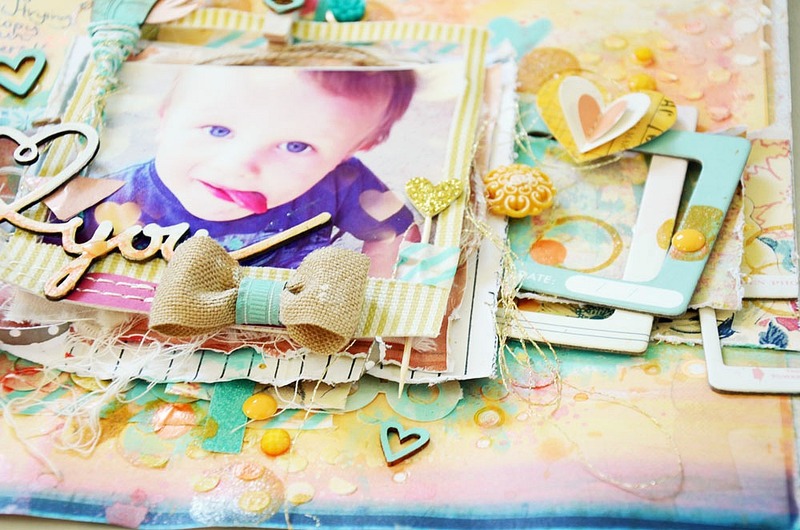 I love how this product gives so much texture and puffiness to your Chipboard products. I also used some Indian Feathers and made a little arrow. I covered the Chevron bits with lots of Shimmerz along with my background. A little masking too. I used the lid from a Spritz bottle and dipped it into the Golden Wheat Shimmerz, I then placed this over the layout randomly to add some circles. Such a gorgeous and sunny lay-out! I love that cute photo! 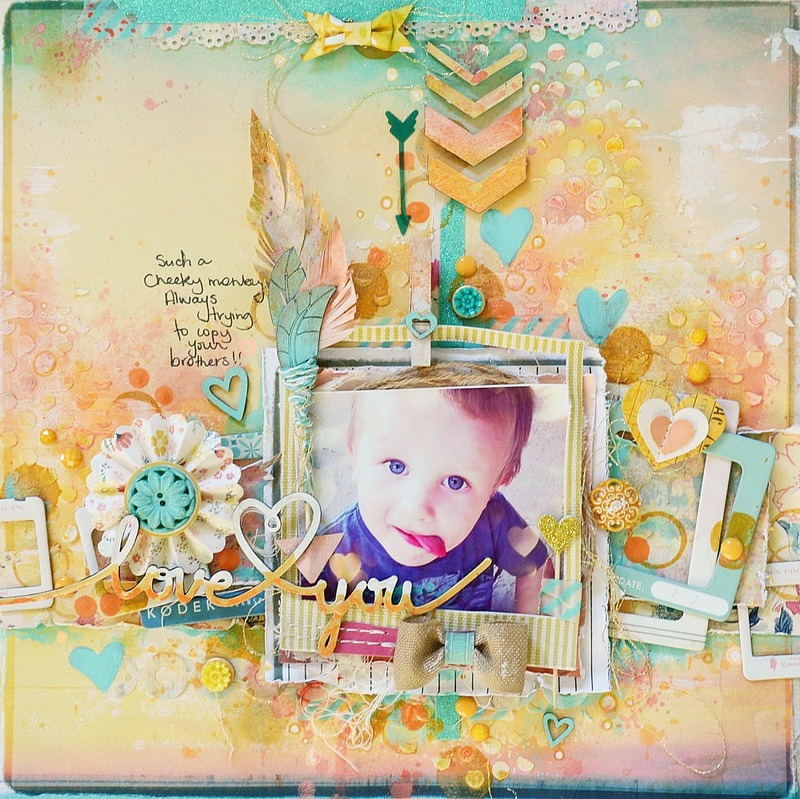 HI.. oh wow, this is stunning, love the colors and the layers under your cute photo.. love the texture in the back ground too.. beautiful.. Awesome!!!! Love the layers and the colors....it's just beautiful! !